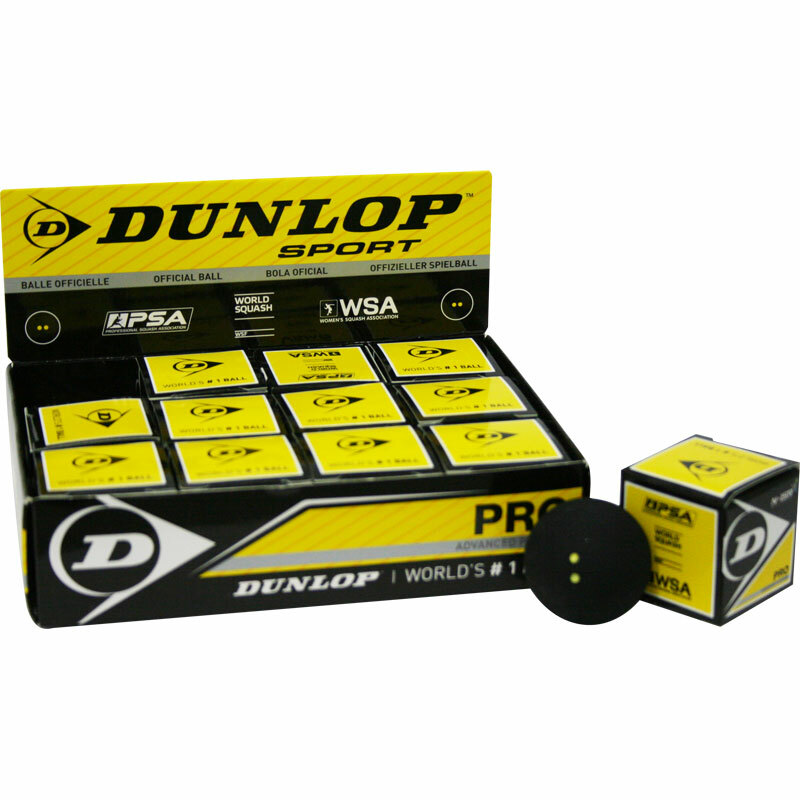 The Dunlop ® Pro Squash Ball is the official ball of the World Squash Federation, Professional Squash Association, Women International Squash Players Association and the only ball used in all international professional competition. An extremely durable high quality rubber compound that provides the ultimate performance squash ball for professional, tournament and club team players. Size 1.57". Double yellow dot. Sold individually or per dozen.